You notice any problems with your nose each and every day because this one facial feature is “front and center.” Our Rhinoplasty Before and After Pictures show you the many ways that nose surgery has helped our patients in Buckhead, Vinings, and Sandy Springs! 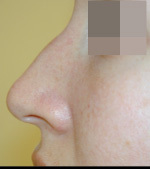 Rhinoplasty is cosmetic or reconstructive surgery on the nose to change the size, shape and function. As an experienced and highly qualified plastic surgeon, Dr. Work can improve any part of your nose, such as the bridge, nostrils, tip, width and angle between the bottom of the nose and upper lip. 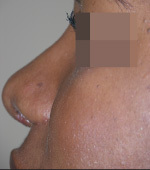 Rhinoplasty is generally performed in one of two ways: open and closed. Open techniques involve incisions that allow complete access to the interior structures. 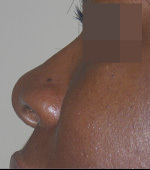 A closed technique is typically used when the structures can be accessed with smaller incisions, such as along the point where the bottom of your nose meets your upper lip area. 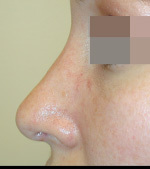 Our Rhinoplasty Before and After Pictures show you how the surgery can make subtle or dramatic changes to your nose. If you are unhappy with your nose or have problems breathing, look at our Rhinoplasty Before and After Pictures to see how Dr. Frederick T. Work, Jr., has helped many others just like you. Contact us to schedule your personal consultation to learn more about nose surgery at the Atlanta Center for Breast and Aesthetic Surgery.